Many novice anglers do the wrong moves when casting and it makes them grow weary. 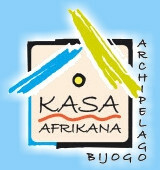 Most importantly, it prevents them from enjoying a beautiful and fruitful day. I suffer from chronic shoulder pain myself and I will briefly explain how to relieve the pain. During the first seconds of the casting movement, many fishermen, even the good ones, tend to grow the rod with their right arms as if they hoped it would increase the casting distance. You should rather try this technique : you can train in your garden or on the beach and far from any obstacles. Take the rod in your right hand (the left-handed people should invert the side) and block your right elbow against your ribs. First, gently bring the bottom of the rod downards with your left arm and then try to keep your right elbow blocked against your ribs at the same time. Try not to use your forearm. You can see that it's the action of the left arm bringing the bottom of the rod down that makes your right forearm swivel naturally. Now that your elbow is acting like a pivot you can slowly repeat the movement until you feel that you get it perfectly. One important point is to take your left hand to your right arm so that the pendular move of the rod should go straight forward and not on either side. 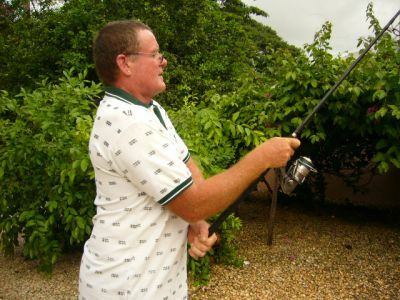 You can progressively add more strength and roughness to the move with your left arm when bringing the rod's bottom downwards. You should be able to note that your right forearm will block itself forward at that precise moment since your elbow, wedged against your body, will prevent it from going any further away. 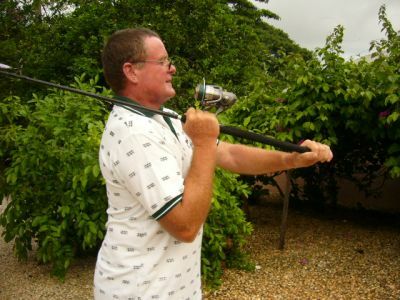 Try not to push with your right arm, it's the quick move of your left arm and the fact that your right arm is wedged that will give impetus to the rod's carbon and that will send the lure to the good distance, shoulder pain are over. It is all about setting correctly, be used to loofen your thread when blocking, you'll see that with a little practise it is a powerful and little-tiring technique.